Being a big brother is a big change. 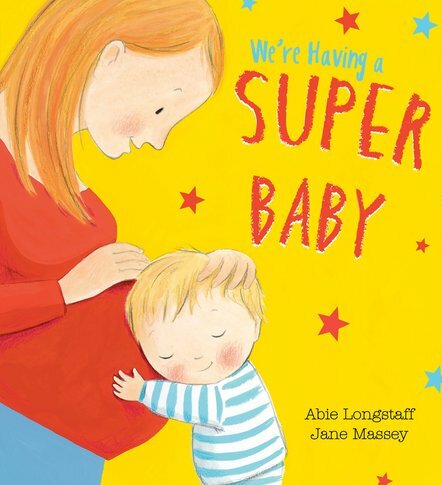 But it’s also rather super – and so is the new baby! Abie Longstaff (who gave us the lovely Fairytale Hairdresser series), serves up another charmer. Smiles all round. Mum is having a baby – and the boy in this story is very excited. He can’t wait to be a big brother and play with the little one. When his baby sister arrives, she doesn’t seem to do much except cry. But he knows she’s special – he just has to wait. And he’s right!